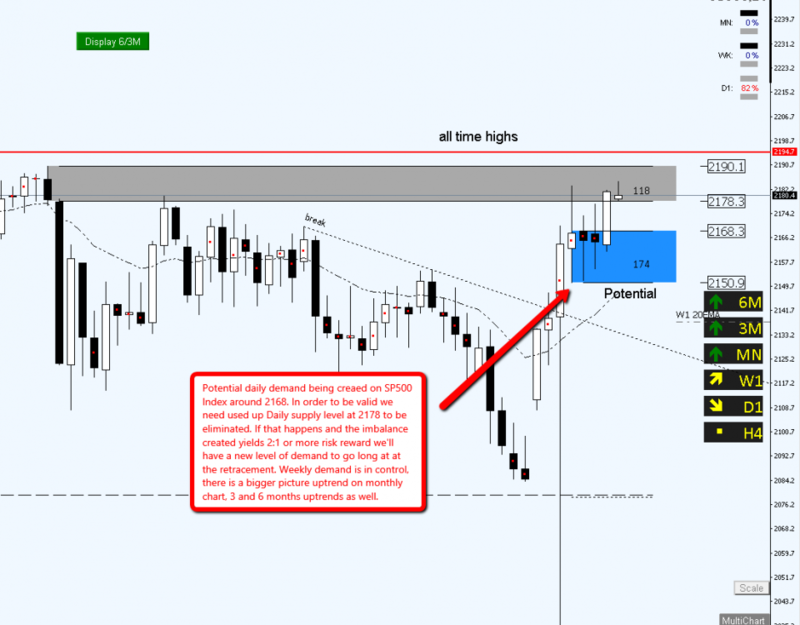 Monthly demand level around 2488 in a clear monthly uptrend. 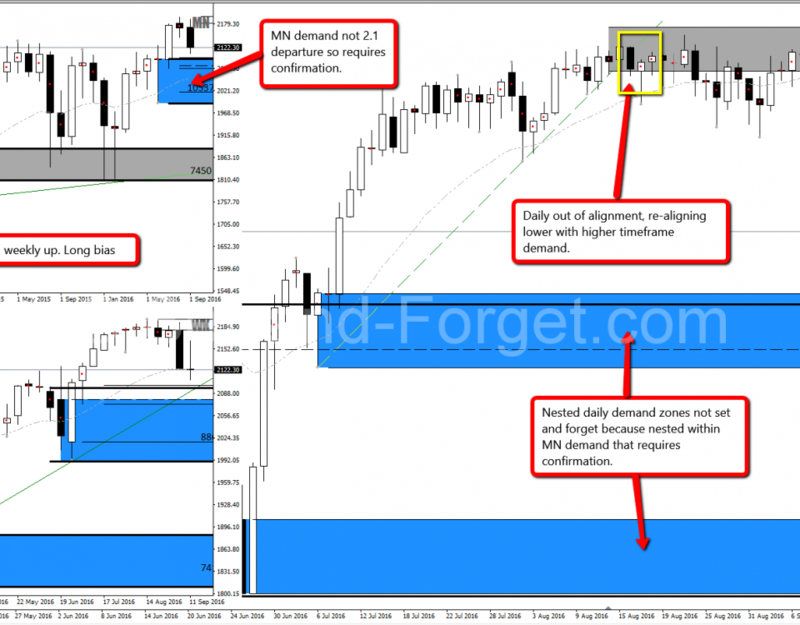 Longs at new lower timeframe demand zones if monthly demand gains control. 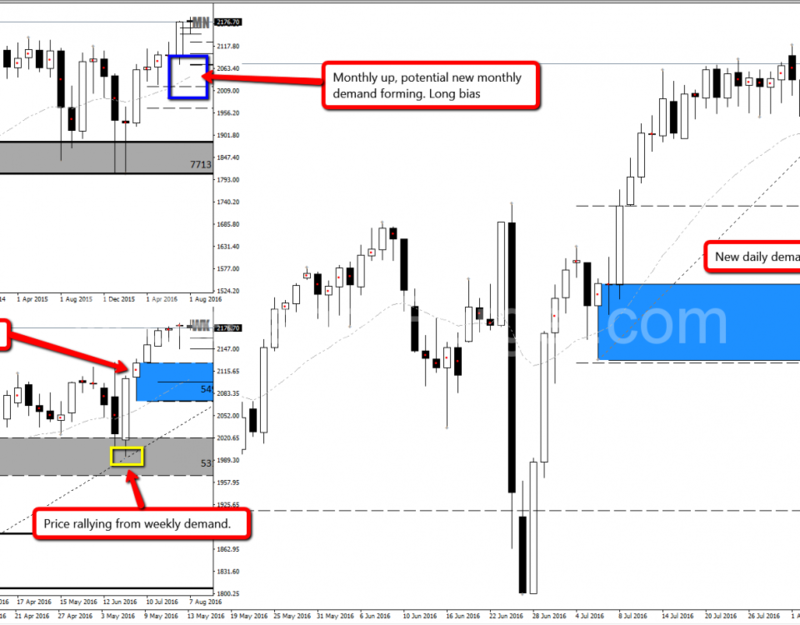 Monthly demand imbalances are being respected so far, uptrend, longs at new demand levels. 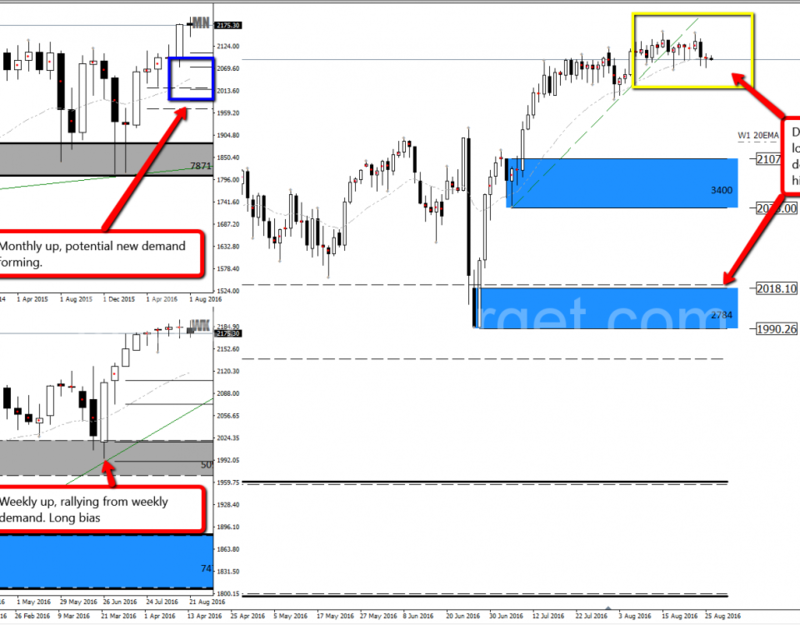 SP500 made all time highs and created new levels of weekly and daily demand on the way up, long bias. 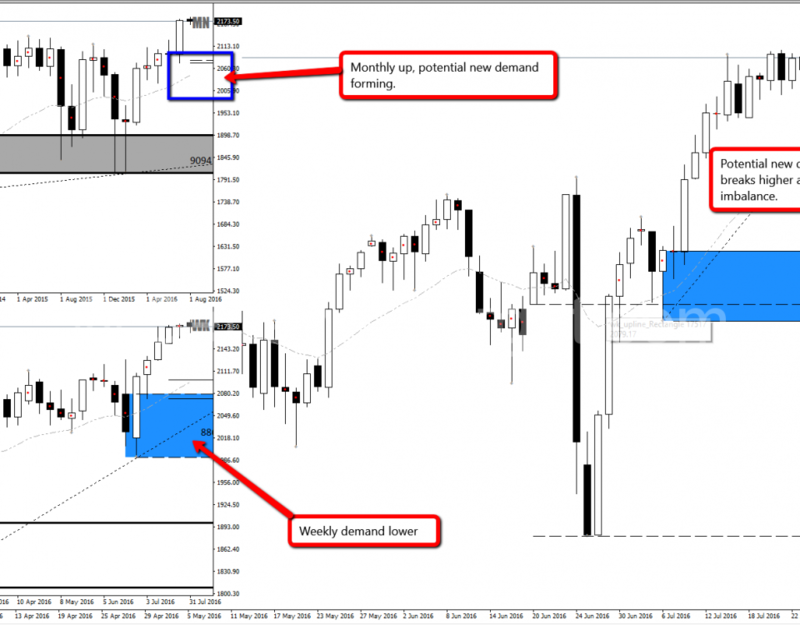 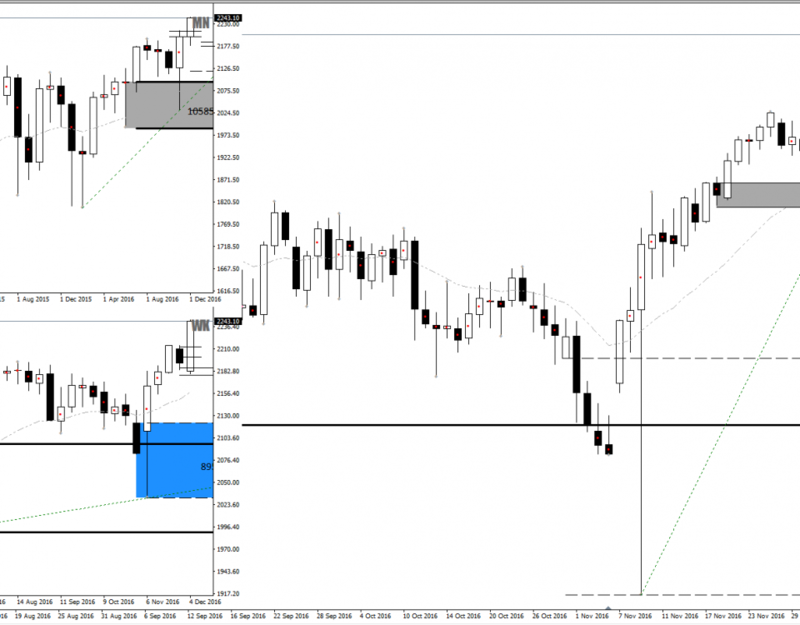 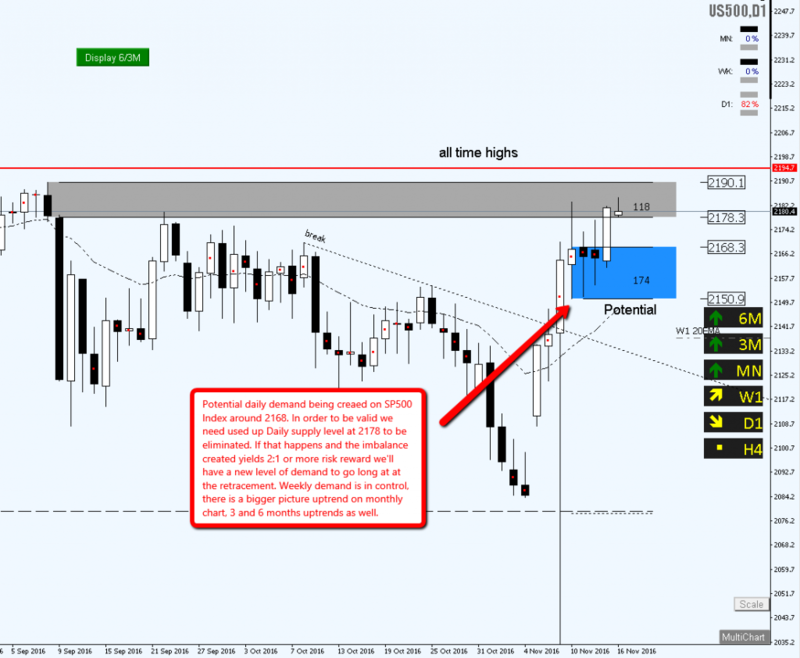 The SP500 created new levels of demand after breaking higher and putting in new all time highs. 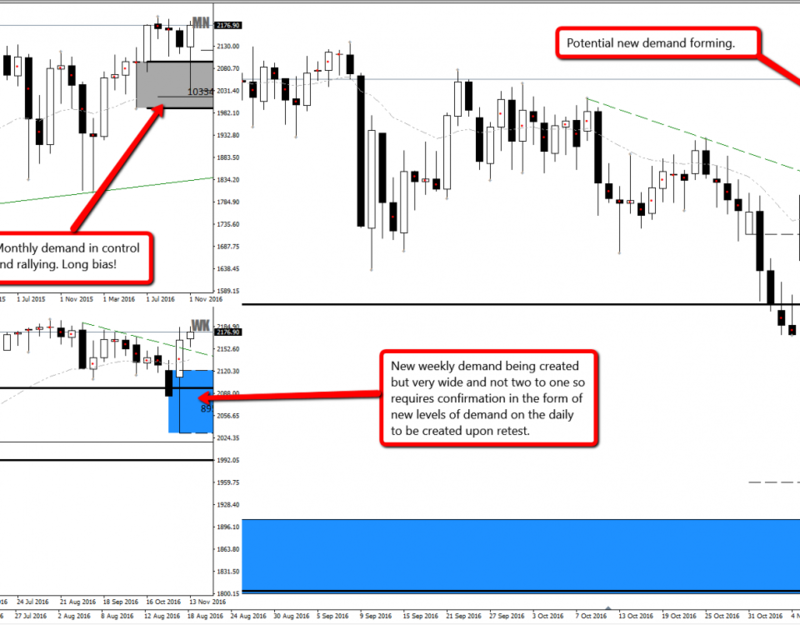 Long bias as new levels of demand are created and respected. 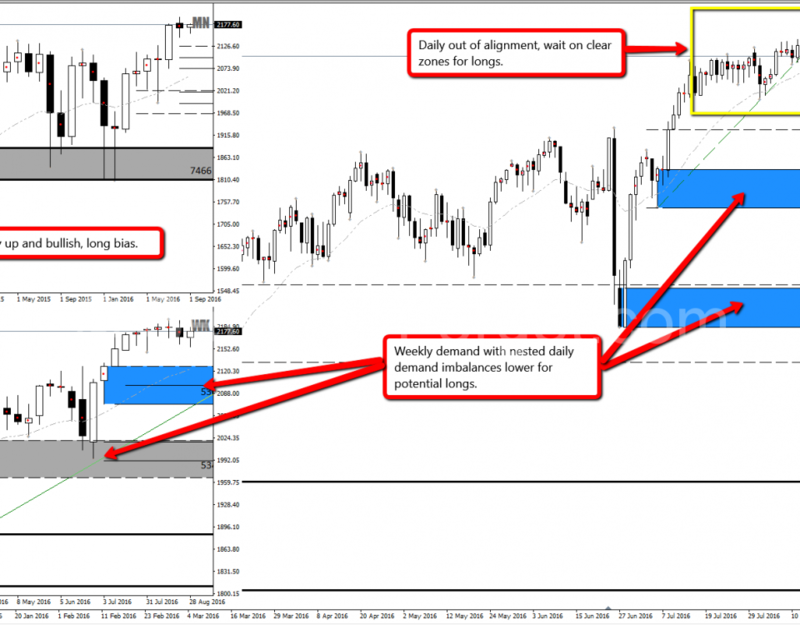 SP 500 Standard and Poors supply and demand imbalances analysis. 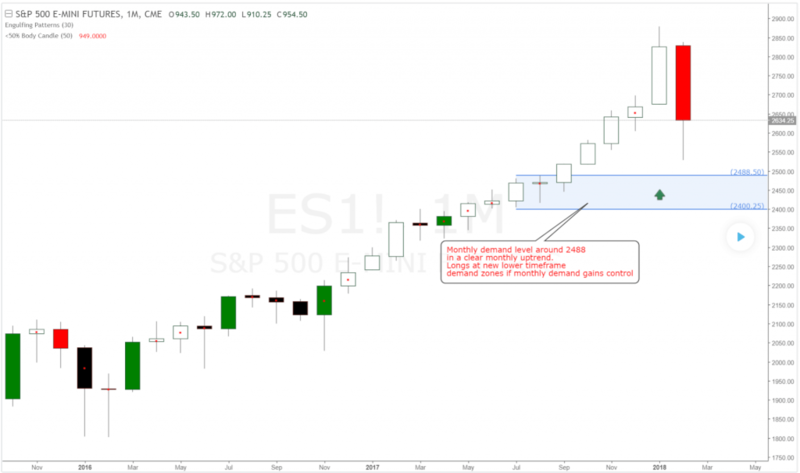 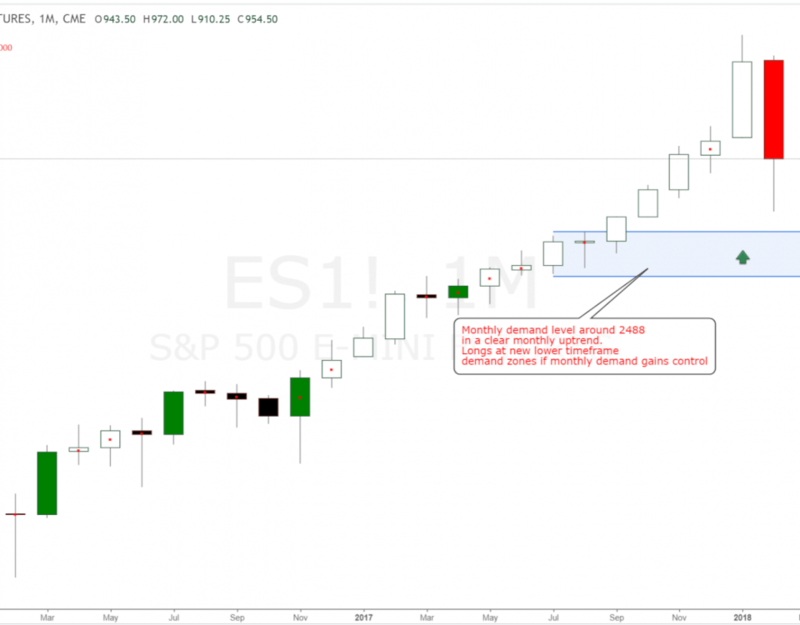 SP e-mini futures longer term bias with new higher timeframes of demand being created.